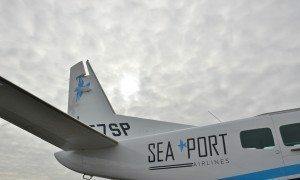 SeaPort Airlines announced that it will expand in the Pacific Northwest on March 1, 2016 with service connecting Moses Lake and Port Angeles, Washington to Seattle-Tacoma International Airport. At Moses Lake, SeaPort will offer three roundtrips to Seattle-Tacoma each weekday along with one roundtrip to Portland International Airport. Port Angeles will be provided with five roundtrips to Sea-Tac each weekday. Reduced flight frequencies will be offered on weekends. 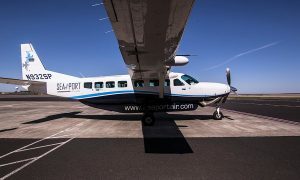 All SeaPort Airlines flights are operated with 9- passenger Cessna Caravan turboprop aircraft. SeaPort’s McKinney commended community leaders in Moses Lake and Port Angeles, as well as the leadership at Sea-Tac, for recognizing the value of local air service and their combined efforts that contributed to the route announcements being possible. “On behalf of the Port Commission of the Port of Moses Lake and the Moses Lake Community I want to thank SeaPort Airlines and the Port of Seattle for making commercial air service available to Grant County International Airport once again. We are excited about this opportunity and are very pleased with the excellent schedule of flights between Moses Lake, Sea-Tac and Portland,” said Michael Conley, President of the Moses Lake Port Commission. At Sea-Tac, Port Angeles and Moses Lake customers will be able to connect with flights of SeaPort’s interline partners, Alaska Airlines and Hawaiian Airlines. These interline agreements provide customers with the convenience of single-ticket itineraries and baggage transfer between flights. SeaPort is in discussion with other airlines regarding interline agreements that result in even more destinations being available via connections at Sea-Tac.